The School of Architecture’s visiting professorship opportunities welcome practitioners and studio educators to develop a body of work while teaching in a dynamic school of architecture. Our school philosophy is to provide deep immersion in the discipline of architecture, intensified by a university culture of interdisciplinary innovation and creative inquiry. Our undergraduate and graduate degree programs prepare students to be excellent, discipline-defining design-thinkers in diverse global contexts. We believe that architectural excellence demands both rigorous training in fundamentals and the development of unique expertise – whether the sciences, the humanities, engineering, or robotics. Though each of our students graduate with intensive architecture knowledge, no two graduates leave with the same education. The Ann Kalla Professorship in Architecture was established by Phylis Kalla in memory of her daughter Ann. Pittsburgh native Ann Kalla graduated from Carnegie Mellon University with a Bachelors Degree in Economics in 1976 and went on to earn a Master’s in Architecture from Columbia University in 1980 along with an AIA Medal for distinguished design work. After graduation Ann worked for the NYC firm of James Stewart Polshek & Partners and later for John Chimera Architects. A friendship with Pietro Cicognani made on her first day at Columbia University turned into a lifelong business and design collaboration. They organized Aedificare, Inc. later to become Cicognani Kalla Architects, P.C. Over 120 projects were designed in the course of the partnership, including the Heinz Architectural Center at the Carnegie Museum in Pittsburgh. In NYC the firm received the Restoration Award from the Friends of the Upper East Side Historic District. The Ann Kalla Professorship in Architecture offers practitioners and studio educators an appointment to develop a body of work while teaching in the School of Architecture. Fellowship recipients help extend the rich legacy of design in the SoA and help shape the future of design, research, and practice at the School and in the profession. While we welcome all applications, preference will be given to those that leverage the School’s resources in emergent fabrication and material technologies, computational design-thinking, building systems integration, sustainable urbanism, and history/theory. Interested applicants can learn more about the professorship and apply here. Heather Bizon is the recipient of the 2018-19 Ann Kalla Professorship in Architecture. In this role, she is teaching as part of Dana Cupkova’s third year studio team in the fall 2018 semester. In spring 2019, she will run her own ASOS (Advanced Synthesis Option Studio) titled “Identity + Making: The American Mash-Up.” She will also deliver a lecture during the School of Architecture’s Fall 2018 Lecture Series. Heather is an artist and architect working in New Haven, Connecticut. Her works explore the individual's perception of space and public/private domains through new media and technology, sculpture, architecture, and film. She has worked with MOS architects collaborating on projects of a range of scales from film to landscape to exhibitions to public works, including PS1 Young Architect's Pavilion 2009, Ordos 100 House in Mongolia Lot 006, and Marfa Drive In and Park. She received her B.Arch from Cornell University and M.Arch II from Yale University. Sarah Rafson held the Ann Kalla Professorship in Architecture at Carnegie Mellon University’s School of Architecture from 2017-18. In this role, she developed a long-term strategy for disseminating the work of the School of Architecture and produced the first volume of a new publication for the school titled EX-CHANGE. She also curated the SoA’s spring 2018 NAAB exhibition. Sarah is an architecture writer, researcher, editor, and curator. She is the founder of Point Line Projects, an editorial and curatorial agency. A graduate of the University of Toronto and Columbia University's Critical, Curatorial, and Conceptual Practices program, Sarah has worked on books with Kenneth Frampton, Bernard Tschumi, and Barry Bergdoll, and collaborated on exhibitions at MoMA, Centre Pompidou, Center for Architecture in New York, and the Parsons School of Design. She currently sits on the board of ArchiteXX, the New York-based advocacy group for women in architecture, and writes on a range of issues in architecture and design. Christina Ciardullo held the Ann Kalla Professorship in Architecture at Carnegie Mellon University from 2015-16. 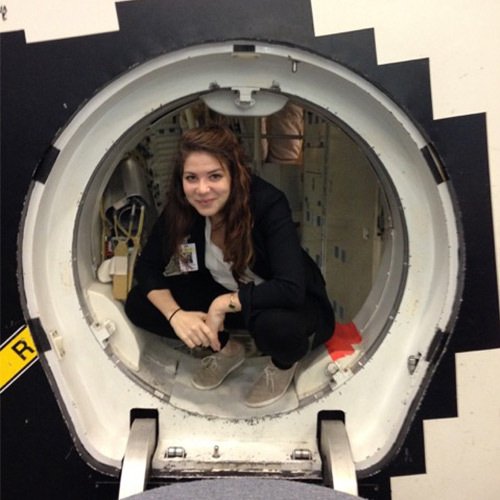 She has a background in astronomy and philosophy and has held research positions at Columbia University’s Graduate School of Architecture’s Space Architecture Lab and the Habitability Design Center at the NASA Johnson Space Center. In addition to terrestrial practice, including a resilient waterfront development and the Shanghai Planetarium with Ennead Architects, she has consulted in the lunar and martian endeavors of Foster+Partners and is founding member of SEArch, a consortium of architects designing for habitats for life in other atmospheres. Gregory Thomas Spaw held the Ann Kalla Professorship in Architecture at Carnegie Mellon University from 2014-15. He is a designer, educator, and entrepreneur. Concurrent with his engagement as a principal of SHO, Spaw is an Assistant Professor at the American University of Sharjah in the United Arab Emirates. He has previously served as a visiting professor at the Cracow University of Technology, and taught undergraduate and graduate studios, seminars, and electives at the University of Tennessee. His previous professional experience includes stints with the award winning offices of Bohlin Cywinski Jackson, Preston Scott Cohen Inc., as well as Asymptote in the UAE. In addition, he contributed to !ndie Architecture’s entry for the PS1 Young Architects Program Competition in Queens, New York and worked on location in Seoul, Athens, and Brussels with LA.S.S.A on a series of diverse projects. He holds a Bachelor of Architecture from Kansas State University and a Master in Architecture from Harvard University’s Graduate School of Design. The George N. Pauly, Jr. Professorship in Architecture was established in memory of George N. Pauly, Jr. to support emerging practitioners and studio educators in the development of a body of work while teaching in the School of Architecture. George was born in New York City, the son of George N. Pauly, Sr., a renowned architect, and Eugenie Disay Pauly, a music teacher. George was raised in Camp Hill, Pennsylvania and graduated from Carnegie Mellon University. He was particularly proud of having followed in his father's footsteps by becoming a licensed architect, and designed several buildings in his home state of Pennsylvania. The George N. Pauly, Jr. Professorship in Architecture has concluded; please find an archive of fellowship recipients below. Mauricio Bertet is a registered Architect from Madrid, Spain and an Architectural Design Professor at the Polytechnic School of the San Pablo - CEU University. Bertet taught at Syracuse University School of Architecture as Professor of Practice and held the George N. Pauly, Jr. Professorship in Architecture at Carnegie Mellon University from 2015-16. In his professional practice, he has focused on national competitions, projects and building follow-up, mainly in the public realm, proposing an architecture that has tried to modestly contribute to the improvement of the encountered reality. With the same approach, he has also developed international cooperation projects in Mozambique and Morocco. Frank Melendez served as a Visiting Assistant Professor in the Carnegie Mellon University School of Architecture as a recipient of the George N. Pauly, Jr. Professorship in Architecture. His research is focused on the advancement of digital technologies in architecture and design. Melendez has also taught at Louisiana State University, Arizona State University, and has participated in workshops at various architecture schools throughout the US and abroad. His professional experience includes working at the office of Frank O. Gehry & Associates in Los Angeles, California and serving as the Design Director at Urban A&O in New York, New York. Melendez received his Bachelor of Architecture degree from the University of Arizona followed by a Master of Architecture degree from the Yale School of Architecture. 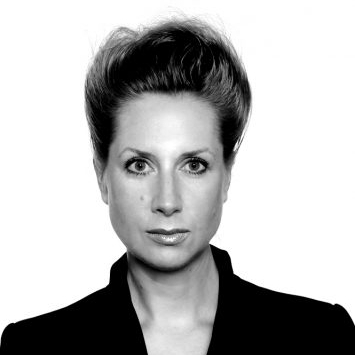 Liss C. Werner is a registered Architect in Berlin and previously served as a visiting professor at the Carnegie Mellon University School of Architecture as a recipient of the George N. Pauly, Jr. Professorship in Architecture. She runs the upper level design by research studio ‘Codes in the Clouds’, developed at Bauhaus, Dessau Institute of Architecture in 2010. The studio defines architecture through code, data, and behavior to engage with the emergence of sublime, tectonically challenging form generation as dynamic system. Her research focuses on architecture as science of cybernetics and culture through the evolution of technology in order to develop computational design thinking for the paradigm shift of architecture in C21. Her exploration of rule-based architectural systems informed by cybernetics, self-organization, and a critical reflection offers one possibility to depart from a purely aesthetic understanding of a priori form towards a vocabulary and theory for an architecture of architecture. Liss C Werner studied at the Bartlett, RMIT, and Humboldt University. She worked on projects in the UK, Germany, and Russia. She teaches and lectures internationally since 2002 and contributed to a variety of conferences and exhibitions in the UK, Ukraine, Germany, China, Australia, and the US. Her work was exhibited at the 13th Venice Biennale 2012.